I'm cautiously excited for the new OS, particularly since it has now been ported to ARM. Here's hoping it won't go the way of the UMPC/ Origami Project. Hee hee! It is likely to cause an uproar for any users who are used to the WIMP paradigm. It certainly has its place for certain applications. But it is also clear that many modern usage scenarios (particularly mobile devices) require a finger touch focused interface. Windows 8 is a bit of a halfway house between the two. I'm looking forward to an HPC like device (form factor) with a keyboard, which you can use as a tablet with a finger friendly UI, but switch to a regular Windows desktop when needed, and dock to a full sized monitor, keyboard and mouse at your desk when available. One device. The Kal-El based device they showed at Computex looks close. 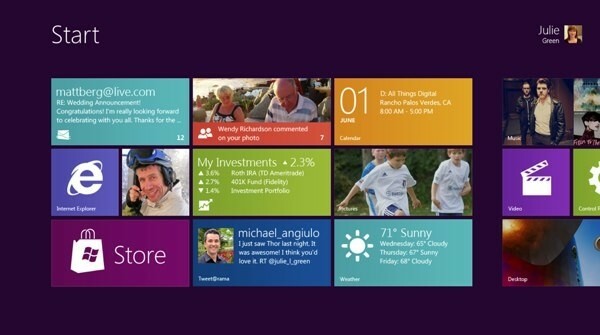 It is not clear to me whether the ARM versions of Windows 8 will have the regular desktop though. Intel have made rather ominous claims that it will not, but then they would, wouldn't they? Hopefully it will be like Launchpad in OSX Lion: a launchable application rather than a shell replacement. That way people like Solidus and myself can ignore / uninstall it and those of WP7 ilk can be content and glee. They can't remove the standard desktop paradigm, application developers and serious machine users still need these antiquated input mechanisms in order to make IT work. The iPad esque IT simplification is useful for some users (perhaps a majority?) so I won't snub it too much. So long as this is acknowledged, I'm sure I'll be a tool and continue forking out extortionate amounts of money in Microsoft's direction. I have to admit, Apple have it right here: $40 to step up a single OS version release isn't disagreeable. My fear is that we have seen it all before, with the Origami Experience - essentially an alternative launcher shell created for Windows Vista. The experience was pretty horrible in that you would start out fine in a touch-friendly environment but, apart from a few touch-optimized programs which were built in, would be dropped unceremoniously into regular desktop Windows the moment you launched anything. There really was no incentive to ever use it and it was slow and a bit of a battery hog. Thankfully you could just turn it off. However, I would actually prefer the UI paradigm it to run much deeper than that, and it looks like Microsoft is trying to do this by creating much greater extensibility to the "Immersive" UI. This represents a new development model, but the problem is that developers will now have to create two alternative UIs when writing for Windows. Or they could stick to the Office model and just dump you back into desktop mode whenever an "Immersive" compatible UI was not available. OEM's will just fill the thing with craplets and branding and we'll go all the way back round in the never ending loop of a reasonable idea being quashed by bad user experience and lack of third party adoption: CDF channels, IE7 accelerators and page slices, Windows desktop sidebar gadgets, IE add-ons. All had potential but were / are inaccessible, corporately weighted and quickly forgotten. I liked the Origami experience though, have both version 1 and 2 lying around here somewhere. Had them installed on my netbooks. C:Amie is right though. Coopting of good ideas is the capitalist way. In Windows Phone 7 you can at least hide operator tiles if you don't like them, and I imagine that Windows 8 will be more configurable, or at least hope so. I use the clock and a piano keyboard gadget, but that is it on my sidebar. The problem is that so few of them are actually useful to me, and they tend to be pig ugly. I'm now using the HTC Home widget which is enough for me. And I never understood the point of web slices. That's the thing, most gadgets are corporate branding exercises with little to no value at that. Programming them isn't all that accessible and the documentation is typically Microsoft: poor becoming non-existant as they come up with the "next best thing" and thin out the already lacking documentation to try and push you onto the new doobrit. I don't bother with the sidebar, it was a novelty for 24 hours, that'd it. They can't even provide proper (useful) Outlook integration for it (heck they never even made a Outlook 2010 version of what they did release, proving my point on following vogue trends). My concern with all this for Windows 8 is that unless Microsoft under go a fundimental attitude shift all this will go exactly the same way. My next OS after Windows 7 is sooo going to be dual-booting Windows 2000 or XP and Parsix Linux, this is just such a joke. I'm still a believer in KISS theory (Keep It Simple, Stupid). The original desktop, taskbar, and Start Menu are fine - just make them easily enlargeable so they're more finger-friendly (maybe a little widget in the upper right corner to choose between mouse/stylus and finger mode). Doing the same in CE would be nice too. Whose to say that this doesn't represent a more efficient way of doing it though, I resisted using the XP style start menu for quite a while, but actually it is a lot more efficient. Trouble is that I see machines with hundres of programs installed on them, not Windows Live, Office and anti-virus. I just don't yet see how this is going to be effective. I also don't care much for metro to be honest. One question though, does this confirm that no tablets (or netbooks) will run Windows Embedded Compact 7, but run Windows 8 instead? BTW, C:Amie, in WP7 the tiles list does not contain everything, but only what you put in it. Kind of like icons and widgets you put on your desktop and sidebar. Tiles just make them all look more organized and unified (less confusing). There is a separate list in WP7 for all installed apps, and another place for games. So hopefully Windows 8 has something like that to organize those hundreds of apps you install, instead of throwing every game and app at you like an iPhone does. Takwu, I think a lot of thin clients will run Win7 Embedded while consumer devices like tablets and the likes will run Windows 8. I have to admit I'm not 100% sold on the design, but I like the features. Will pass judgement as soon as I get my hands on a copy. Well the reason I asked is because about a year ago there was an Acer tablet running Windows Embedded Compact 7 and a custom interface. It was on display publicly, but it was never released. 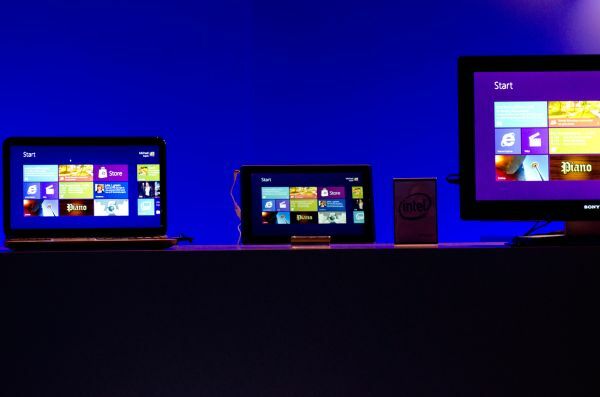 Then this year Acer released an ARM tablet running Honeycomb and an x86 tablet running Windows 7. When that Windows Embedded Compact 7 tablet was revealed, it was thought that the OS was MS's platform to compete with iPad. MS never commented on it. When Acer released the other two tablets instead, it was very confusing as to whether MS had any plans for ARM-based tablets. By that time MS has indicated that the upcoming Windows 8 will eventually cover that, but still had no comments to whether there is another ARM platform before Win8. As time passes, manufacturers kept releasing ARM tablets with Honeycomb, and a few x86 tablets with Win7 (namely Asus, Acer, MSI, Lenovo, and possibly more), it was more and more likely there will be no ARM tablet running an MS OS until Win8 ARM comes out.